Advanced Placement (AP) courses, created by the Unites States College Board, are college-level curricula offered by universities or colleges to high school students. Grant placement and course credit is often given to those who obtain high scores on the examinations. Currently, there are more than 30 existing Advance Placement courses on multiple subject matters offered. The Advanced Placement Courses had a long history. It started after the Second World War the program was pioneered by prep schools until them issues a report allowing high school seniors to study college-level material and take an achievement exam that allows college credit for high scorers. A pilot program was run during 1952. Ever since, millions and millions of students each year take Advance Placement examinations to qualify. The College Board allows students to take any exam no matter what course he is participating under. This means that students studying online and those from schools without Advance Placement courses can equally take the examination. AS of 2015, each exam costs $91, though financial support is given by local and state programs. For students who qualify, they are given discounts. Additional reduction depends by state. The number of AP exams keep on climbing up each year. Wondering about the exam structure, the questions and time to finish the exam depends on the subject. The test consist of multiple choices, essay, and questions with short answers. The score rate is from 1 to 5. AP credits vary from school to school. Some offer Advanced Placement Courses for a rating of at least 3. Taking the exam does not mean you have to take the AP courses. If you consider sitting for the AP exam, you can register from your school coordinator. This person will tell you the cost and venue of the exam. 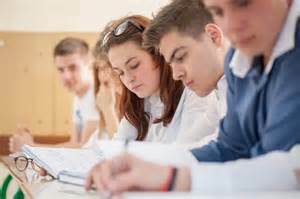 Advanced Placement Courses are college level classes which a student can take in high school. With college education being so costly, learners need all the help they can get. The more Advanced Placement Courses, the less you have to pay for college because you already have some programs covered. But should a high school student take as many AP classes as possible? Some say that it allows a student to stand out in the entrance procedure when applying for college, but should a student battle with an AP class and get a lower final grade in the class or should they just take the frequent non-AP class and do very well in that? There are a number of reasons that usually obliges learners to go with Advanced Placement Courses. There is no doubting to this fact that enjoying an Advanced Placement Course in high school may be less expensive instead of patiently waiting to take it in college. 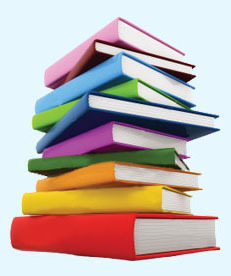 If learners choose these AP programs, then they can quickly display their ability of studying. Doing the high school programs can show schools that you are already at that level of studying. More to the factor, it can quickly confirm that you can understand and handle the particular course work in a hassle-free way. If you take part in any Advanced Placement Courses, then it will definitely help you in terms of getting entrance into any college of your choice. These programs can make you understand and handle the course work in an enjoyable way. Normally, Advanced Placement Courses keeps members involved in the studying process because this is more challenging in comparison to standard modern university programs. More to the factor, these programs also helps you by directing you towards really getting a college education qualification.